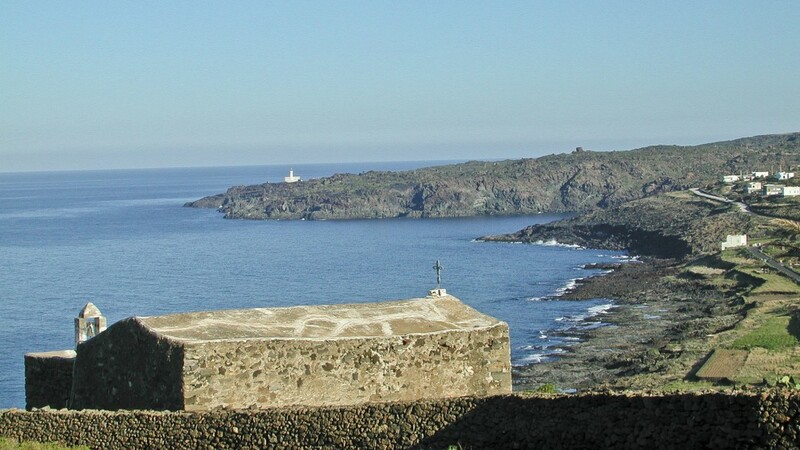 The small church in the picture is one of nine rural churches present in Pantelleria in different districts, almost all from the end of 700. It’s dedicated to St. Vincenzo Ferreri and it is in the district Kattibuale. The date of its construction in uncertain, however we do know its recent and dramatic history. It was reopened on 11 April 1940, but soon after the sacristy was used as a warehouse by the italian military living in the Italian island. Today the church is opened only on very rare occasions.